As Facebook reach declines and social networks constantly evolve, it’s time for brands to reclaim their audiences by turning their own digital properties into hubs of social activity. How can you accomplish this goal? It’s simple. Create an engaging environment right on your website where your fans can interact and take part in your campaigns. With the steps below, you can launch marketing campaigns that are inherently social in nature, and showcase the depth of your brand reach and loyalty. Keeping your audience top of mind is essential to accomplishing this goal. Consistently catering to their interests, emotions, and needs will encourage participation and, in turn, can help to drive revenue. 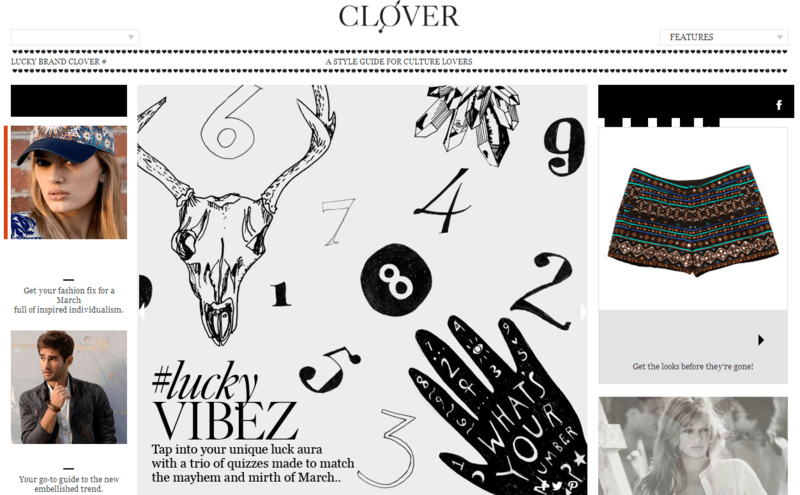 Lucky Brand recently incorporated interactive content on their website to capture fans’ attention. By launching their Lucky Vibez Quiz, they created content that is engaging and eye-catching, and contributes to the quality of the customer experience. By encouraging fans to participate in their quiz, they have not only piqued their interest, but also created an environment that is conducive to conversion. As all of the content is located on the Lucky Brand website, they can view all of the metrics behind their campaign without needing to navigate another site to reach this information. GrindMedia’s SURFER Magazine also launched a campaign designed to ramp up interaction going into its annual surfing awards. Using the hashtag #SURFERPoll, they collected and published user-generated content (UGC) in a gallery to maximize visibility and build interest in the event. It also allowed the athletes and attendees to share their experiences at the event, which in turn captured the interest of their devoted fans. Incorporating a promotion that resonates with your audience can help to increase sharing, and contribute to the addition of new UGC. 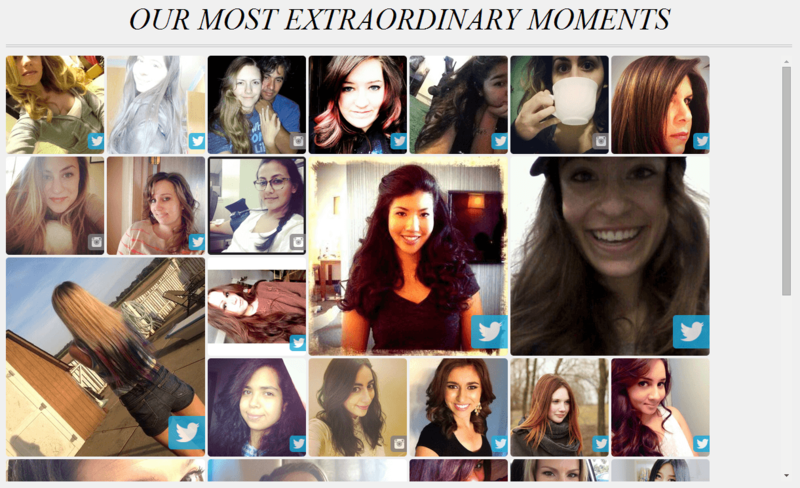 Many leading brands have brought social to their websites via promotions — for example, L’Oreal Paris’s #BeExtraordinary campaign featured a place for customers to view others’ photos and submit their own content, along with a chance to win a weekend getaway to NYC worth $25,000. By creating this space for engagement, L’Oreal was able to keep activity on their website and capture information about their customers, thereby creating a truly owned experience. 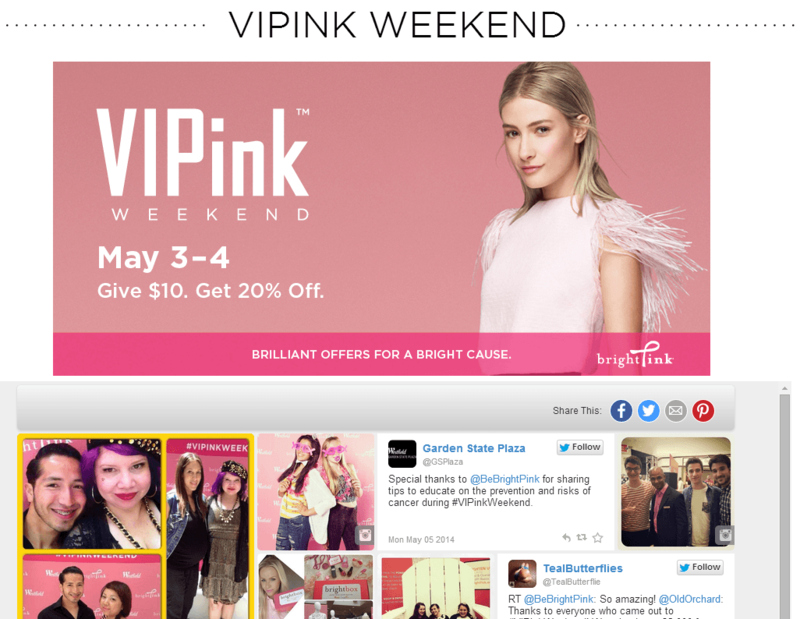 Westfield Mall also recently united user content around the hashtag #VIPinkWeekend. With the theme of breast cancer awareness, they offered an incentive of 20% off for every photo submission along with a $10 donation. This type of campaign speaks to a shared interest, and encourages the audience to share their photos to be part of a community as well as receive a promotional discount. You can strengthen the lifespan of your campaign by amplifying your message across all communication channels, including email marketing, digital advertising, television, direct mail, and more. Partnering with social media influencers and brand advocates can help increase the reach of your campaign, and you can also gain valuable customer insights with tools such as an email opt-in and auto-response to claim content. To determine the immediate impact of your campaign, you can incorporate ad pixels to see the various paths taken after submitting content. One brand that is expanding its influence is Lilly Pulitzer, whose current campaign #SummerinLilly encourages fans to model their favorite Lilly looks by submitting photos to connect with the community. By allowing their audience to post photos across multiple social networks, the campaign message is distributed to fans’ networks in a number of highly-connected locations for greater reach and exposure to advocates and influencers. 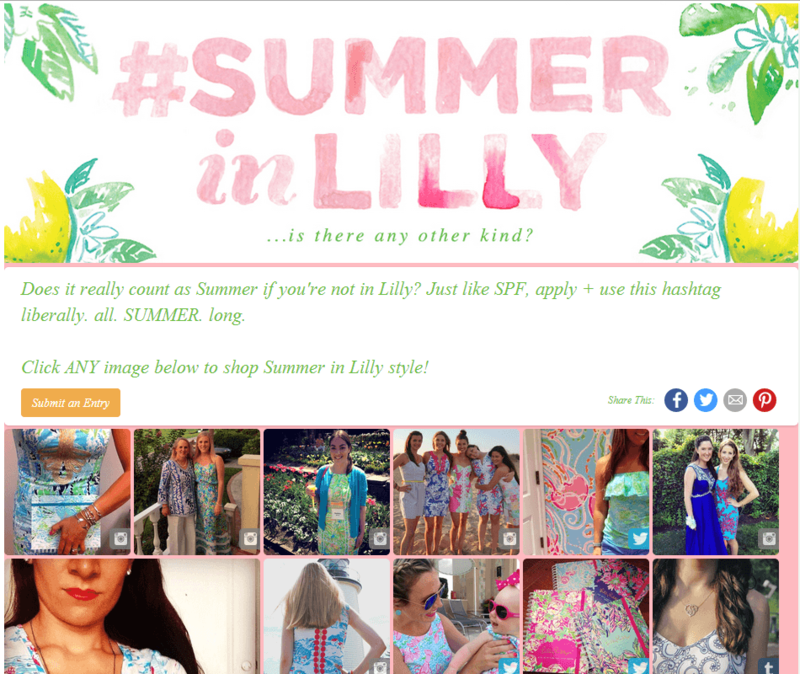 To build influence, Lilly Pulitzer also features gallery submissions in email marketing and paid social programs for a modern multi-channel strategy. 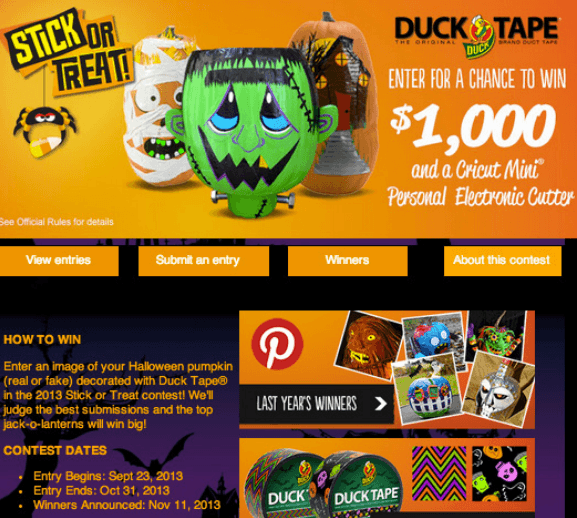 ShurTech also recently launched several contests for its Duck Tape brand across multiple digital properties, to increase brand reach and generate greater engagement with its audience. By promoting these campaigns via social media networks, their website, email marketing, and display advertising, ShurTech was able to create a rich, interactive experience for fans, and spotlight its products in numerous digital locations. Utilizing a cross-channel promotion approach is a great way for brands to amplify their message and further their reach to new audiences. Capitalize on your campaign momentum and increased web traffic by creating a streamlined ecommerce experience for their customers. While perusing photos from other fans, a customer can see how that product will appear in real life, on a real person. This level of transparency helps to foster brand loyalty and provide validation that is essential to purchase. As reported by ODM Group, 74% of people consult social media prior to purchase, and featuring UGC enables brands to deliver on this need with a visual sponsorship of the brand and its products. 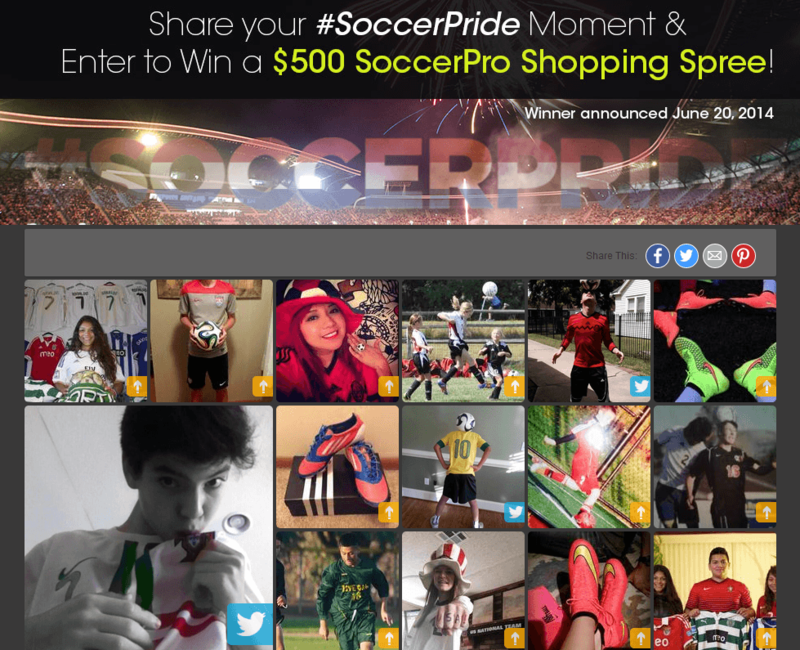 SoccerPro.com leveraged social elements to drive ecommerce with its #SoccerPride initiative, timed with the World Cup. As the tournament began, SoccerPro.com gathered photos of people sporting national team kit and other soccer gear and developed a curated gallery. As consumers interact with the photos, they’re prompted to buy the merchandise featured, with a seamless single click-through to a product page. As the social media space continues to evolve and network audiences become increasingly fragmented, it will become more important for brands to create rich social environments on their own digital properties to build a dedicated audience and drive measurable marketing results. With these strategies, you’ll bolster the impact of your website, build actionable insights and better meet the needs of your customers with unique, interactive campaigns. Kevin Bobowski is the VP of Marketing for Offerpop, a New York-based social marketing software company that powered the first use of a hashtag in a Super Bowl commercial in 2011, in the ‘#ProgressIs’ campaign by auto manufacturer client Audi.